Alien Explorations: Swiss Made 2069 Connected with Dr Who and the 10th Planet? Dr Who and the 10th Planet? a) At the end of Swiss Made, the biomechanical extraterrestrial is arrested by security people who take him to a hospital. He is examined by people in the hospital but his suit is to be found an empty shell without an explanation. b) Another point of interest is that from 8 to 29 October 1966, the TV series Dr Who and the 10th Planet was being aired on BBC television. 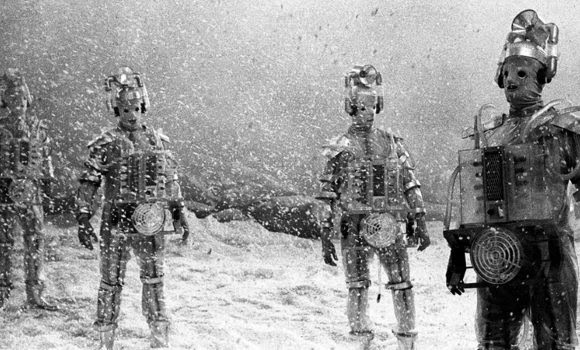 The cybermen were a race of cyborgs from another planet Mondas hell bent on taking over the human race, and towards the end of the story, the destruction of the Cyberman's homeworld leads to the destruction of the cybermen. Here their suits have large block like machines on the front of the chest. 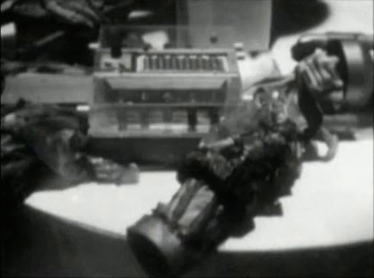 By the end of the story a cyberman is seen to die and his inner organic body dissolves leaving an empty suit with its mechanical components.